Once at the forefront of the fight against climate change, Europe is now being left behind by a more determined group of climate activists: the world’s poorest countries. For months, the 195 member states of the United Nations have been negotiating an international agreement that aims to keep the average global temperature rise below +2°C by the end of the century. But with only a few weeks to go before the COP21 begins in Paris, the challenge seems greater than ever: the combination of all the intended nationally determined contributions (INDCs) will not be enough to prevent a temperature rise of 3°C or more. A group of NGOs has published an analysis of the INDCs, which puts the responsibility for the potential failure of the world’s climate action squarely with a handful of developed countries: Australia, Canada, Japan, Turkey and Russia all presented contributions that represent far less than their fair share of responsibility for climate change. According to the NGOs, the pledges of the European Union and the United States will only cover around one fifth of their responsibility for climate change. But some countries, including Kenya and the Marshall Islands, as well as the big emerging economies of China, India and Indonesia, have promised action that far exceeds their historic responsibility. In the INDCs, each country outlines its plan for reducing its impact on the climate and adapting to climate change. So far, 146 countries responsible for 87% of global greenhouse gas emissions have submitted their national climate action plans to the United Nations. Among these are a large number of developing countries. “We should welcome the commitment of the African countries, almost all of which have submitted their contributions. Some of them were among the first to do so,” said Marion Richard, the head of climate and development at the Climate Action Network. For many of the world’s poorest countries, long term energy and development policy planning is entirely new. International climate change negotiations had previously been the reserve of the wealthier countries, while developing countries, which are often the first to suffer the effects of climate change, did not participate. The “Non-Annex 1” parties to the United Nations Framework Convention on Climate Change (UNFCCC) – the countries with the lowest historic responsibility for climate change – currently have no explicit obligation to reduce their CO2 emissions. But the urgency of the climate situation has pushed many to adopt ambitious voluntary objectives. The 48 least advanced countries, which include most of sub-Saharan Africa and the particularly vulnerable small island states, have all submitted a national contribution to the COP21. “The efforts of developing countries in tackling climate change far exceed their responsibility,” Marion Richard said. In 2012, the African continent produced only 3.3% of global emissions from energy production. 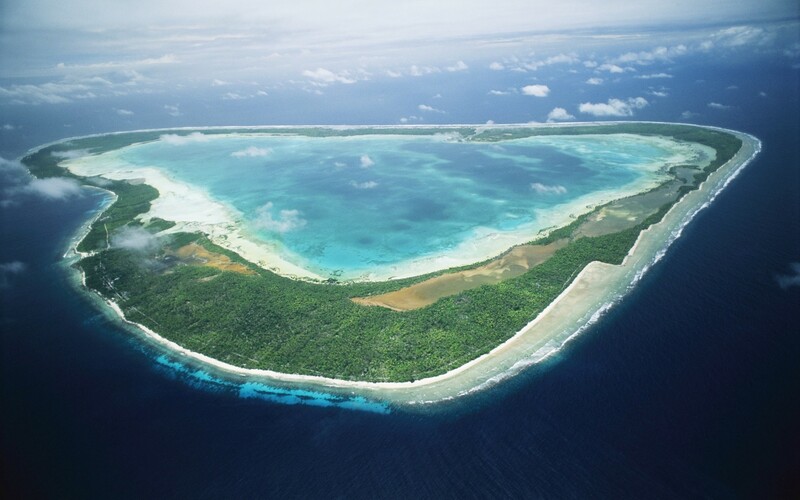 The Pacific island state of Kiribati has committed to cutting its CO2 emissions by 13% by 2030. But with the appropriate “international support”, its government believes it can slash its emissions by 61.87%. Niger, one of the poorest countries in the world, estimates that it will need $8.7 billion of international finance between 2020 and 2030, equal to 48% of the country’s GDP, in order to implement its climate change programme. With or without international support, the country has committed to spending $1.2 billion, close to 9% of its GDP, on climate mitigation efforts. But with the aid it seeks, Niger could reduce its CO2 emissions by 34.6% by 2030, as opposed to 3.5% with no international support. “The feasibility of these policies depends heavily on international finance,” Marion Richard said. “The priority for these countries is not necessarily to cut their CO2 emissions, but to avoid getting trapped in a fossil fuel dependency,” she added. Celia Gautier, of the Climate Action Network, said, “The contributions themselves are very serious, but they will only be realised with the appropriate finance.” This is particularly true of the least developed countries, whose commitments are overwhelmingly dependent on aid. Many countries could see their lofty ambitions drastically scaled down by the uncertain flow of international finance. The world’s developed countries promised to provide $100 billion per year by 2020 to help the global South adapt to climate change. So far, they have struggled to keep their promise. According to the OECD, only $62 billion were transferred from the North to the South in 2014. But the United Nations Development Programme estimates that at least $1,000 billion will be required to effectively tackle climate change. The 20th COP took place in Lima, Peru, in December 2014, and Paris is hosting the all-important 21st conference in December 2015. The participating states must reach an agreement to replace the Kyoto Protocol, the object of which was to reduce CO2 emissions between 2008 and 2012.